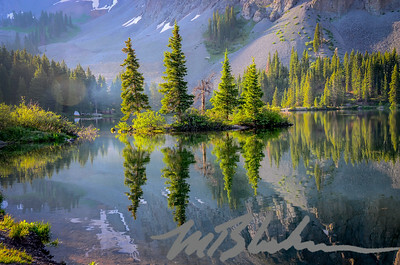 Alta Lake Campground is located near Telluride, Colorado. The campground is free. Within hiking distance are two more lakes. This one is located at the campground at the base of Palmyra Peak. 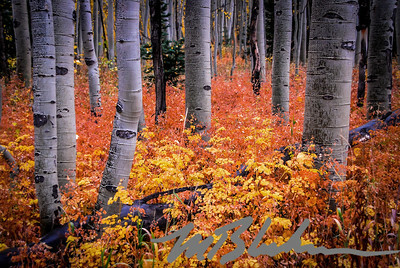 Photo taken near Aspen, Co. in autumn. 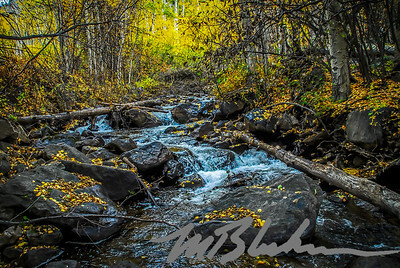 Photo taken near Cottonwood Lake, near Buena Vista, Colorado. 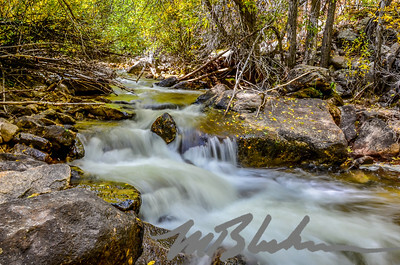 Cottonwood Creek is the outlet creek of Cottonwood Lake, located near Buena Vista, Co. Shadow Mountain Reservoir is located near Grand Lake, Colorado. 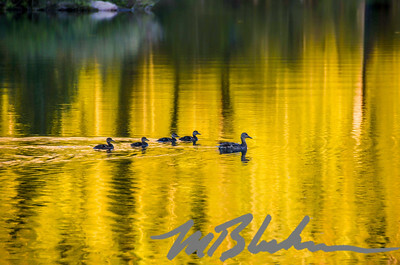 Ducks swimming through the golden reflection of Palmyra Peak at the Alta Lake Campground near Telluride, Co.
One of those magic moments when hoar frost covers everything and there are only moments before the sun melts it all. 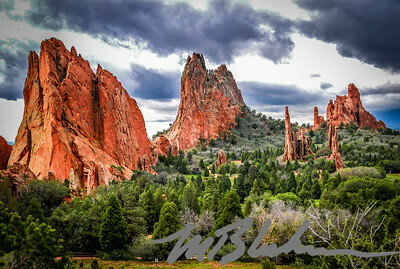 Ancient juniper trees in the Garden of the Gods Park in Colorado Springs, Co.
As threatening clouds appear, the spires of red and pink sandstone rise majestically in the Garden of the Gods in Colorado Springs, Co. 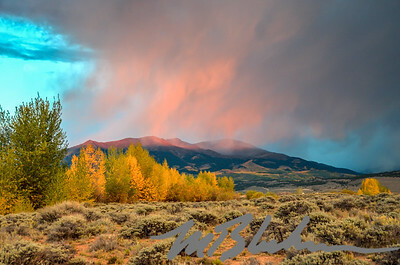 This view was taken from the overlook on Mesa Road in Colorado Springs, Co. Storm clouds above lingered long enough after a shower to collect the colorful rays of a sun setting over the mountains. 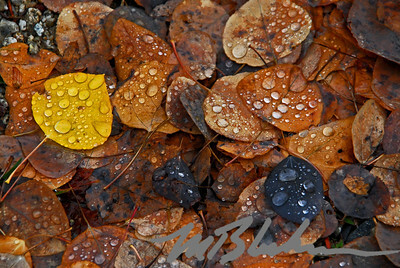 Photo taken on the way to Aspen, Colorado on a rainy day. 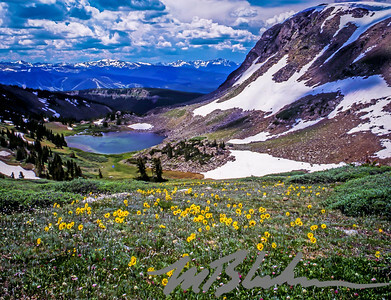 Maggie Gulch is located east of Silverton, Colorado. Look for the sign for Maggie Gulch and follow the trail by the creek. 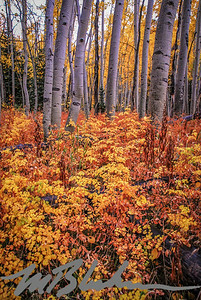 In some areas near Aspen, Colorado, the autumn colors at the foot of the tree trunks outshine the golden leaves of the trees. 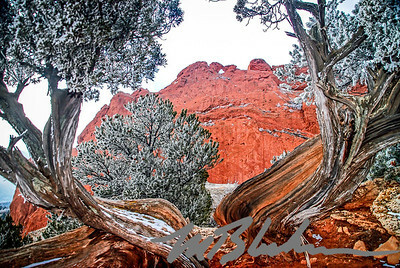 The Kissing Camels at the top of this tall sandstone rock are framed by juniper tree branches covered with hoar frost. 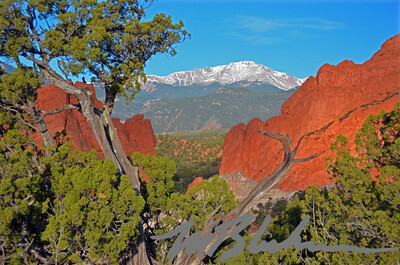 One of many scenes you will find throughout the year in the Garden of the Gods Park in Colorado Springs, Colorado. 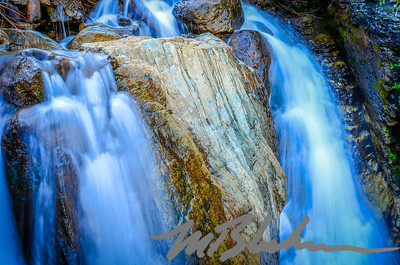 This is a companion photo of another image in this gallery taken of the beautiful waterfalls a few miles east of Silverton, Colorado. This one gets up close to a multi-colored rock. 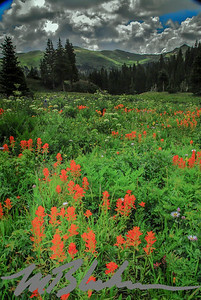 Indian Paintbrush flowers near Black Bear Rd. 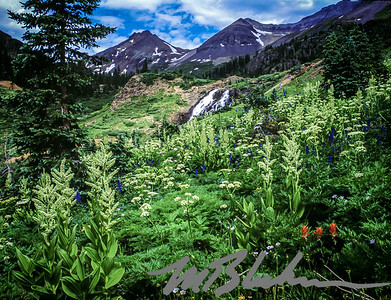 This unnamed basin area, south of Ouray, Colorado has abundant wildflowers and mountain waterfalls that beg for their photo to be taken. Take the Black Bear Pass off highway 550 near the bottom of Red Mountain Pass. Four wheel drive vehicle recommended. 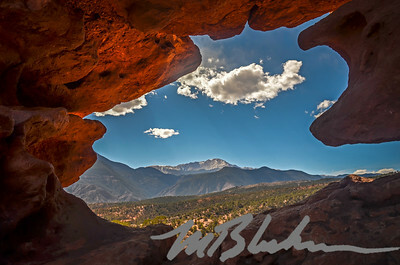 Garden of the Gods Park, the # 1 rated park in the country, has many places worthy of that Kodak moment, including this one that frames Pikes Peak from the Siamese Twins rock formation. One of my favorite landscapes. 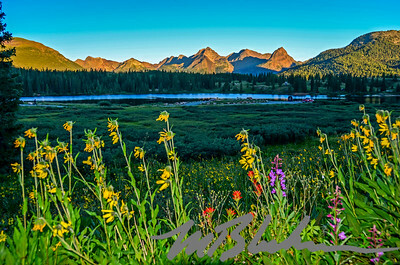 Taken at sundown, the foreground was in shadow, so I used my flash to better show the wildflowers. 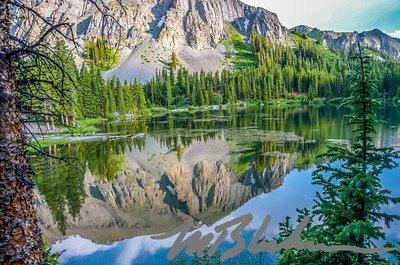 Molas Lake has a campground and is a good fishing spot just south of Silverton, Colorado. I fielded many great shots from this camping trip! The campground is free and trails lead to two other lakes nearby. On the road to Alta Lakes and the campground, this ghost town appears on a curve in the road. 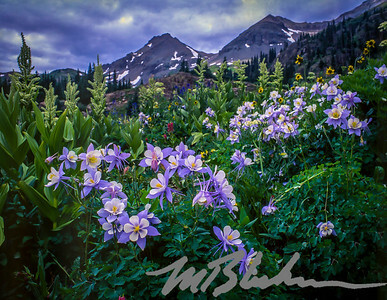 This area is not far from Telluride, Colorado. The Paint Mines Interpretive Park is located in a county park a few miles southeast of Calhan, Colorado, which is 30 miles east of Colorado Springs. 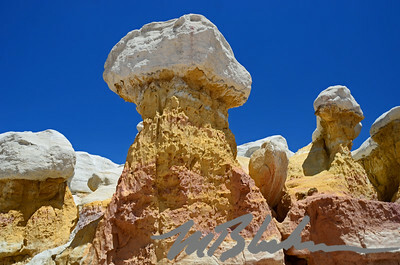 It is so-called because of the colorful clay and sandstone hoodoo rocks that Native American Indians used in making their clay bowls and other items, as well as at least one brick manufacturer. I took this photo with my Bronica 645 medium format film camera. I have forgotten the name of the road, but it is not far from Winter Park and Fraser, Colorado. 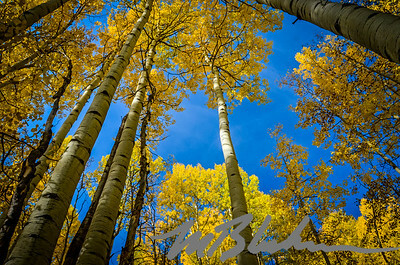 Who doesn't like to look at golden Aspen trees reaching for the sky? 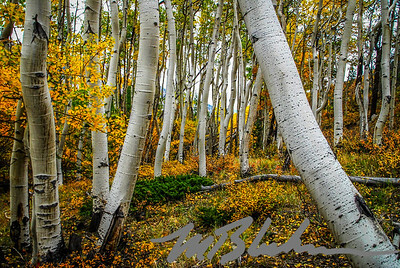 This image was created in the Maroon Bells Park outside of Aspen, Colorado. 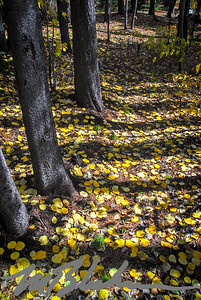 Aspen leaves cover the ground as if a treasure box of gold coins had spilled. Yonder lies Telluride! 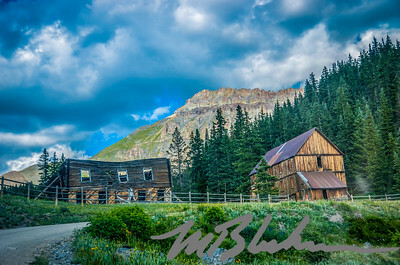 From the road that takes you to Bridle Veil Falls, Telluride is the heart of where the best of Colorado can be found. Sometimes great photo opportunities almost fall into your lap. 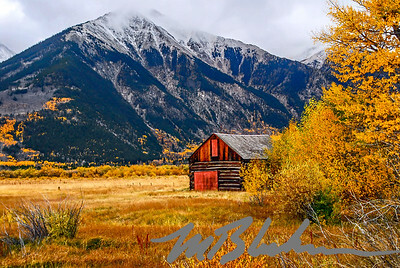 This photo was literally taken across the street from the town of Twin Lakes, Colorado. So many opportunities in this area! 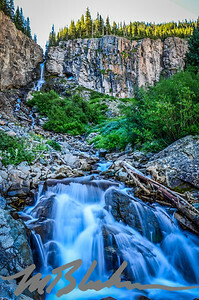 The twin falls, twin peaks, and abundant wildflowers is why I call this area Colorado's Garden of Eden. 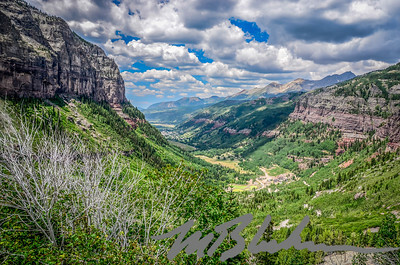 A 4 wheel drive vehicle is recommended in order to reach this location which is just outside of Ouray, Colorado. 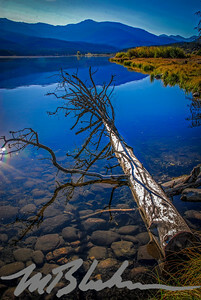 On the way to Aspen and just beyond the town of Buena Vista, Twin Lakes has a look of the high desert, while providing mountains and lakes that make Colorado famous. 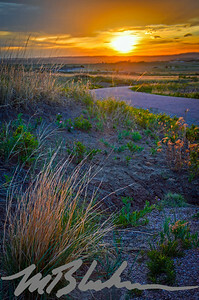 This shot is along one of two trails leading to the Paint Mines, a county park near Calhan, Colorado. The trails lead to sandstone and clay formations that come in many colors, including red, orange, tan, pink, white, and purple. Cripple Creek is a small mountain town that is now home to several casinos but was made famous by the gold rush of the 1800's. 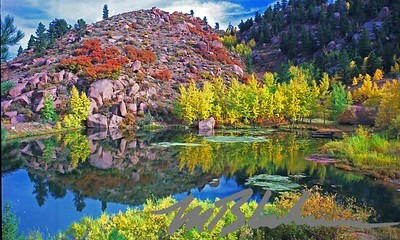 I spotted this gorgeous scene while taking the back way to Cripple Creek. It is situated on fenced private property. 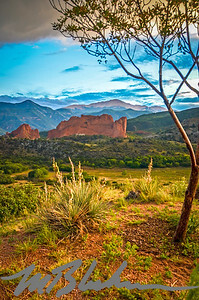 Looking pretty much like it did when the Ute Indians camped here for their pow wows, except now it has trails, a parking lot and a visitors center, the Garden of the Gods is a major attraction to visitors to the Pikes Peak Region. 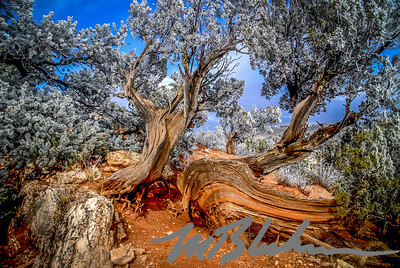 It's a favorite of photographers, amateurs and pros alike. 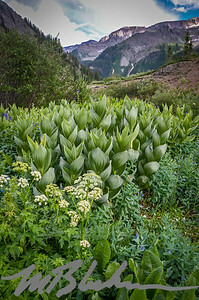 Yankee Boy Basin is my personal favorite place in Colorado to visit and photograph.